My Cosy Night In Essentials! Find a cosy spot to curl up in with a fluffy blanket - make sure its super comfy so you won't need to move for hours! I love my comfy spot on the sofa so if anyone ever tries to invade my spot, there's hell to pay (Sheldon Cooper alert)! Plan your TV for the evening. For me, nothing beats a good comedy, so many of my cosy nights in are spent binge watching repeats of Friends, How I Met Your Mother and Suburgatory! Buy a hell of a lot of junk food! Crisps, chocolate, sweets, popcorn - buy them all! Because, lets be honest its impossible to really enjoy a night in if you don't have your favourite snacks to munch on! Make sure your laptop is fully charged - when I'm curled up on an evening I love to have a good scroll down my Tumblr and Twitter feeds. Pick a book to read - because, well... Nothing beats a good book! (I'm aware it sounds like I'm doing some major multitasking on my night in but I do love to switch my attention from my TV to my laptop to my book as it takes my fancy)! 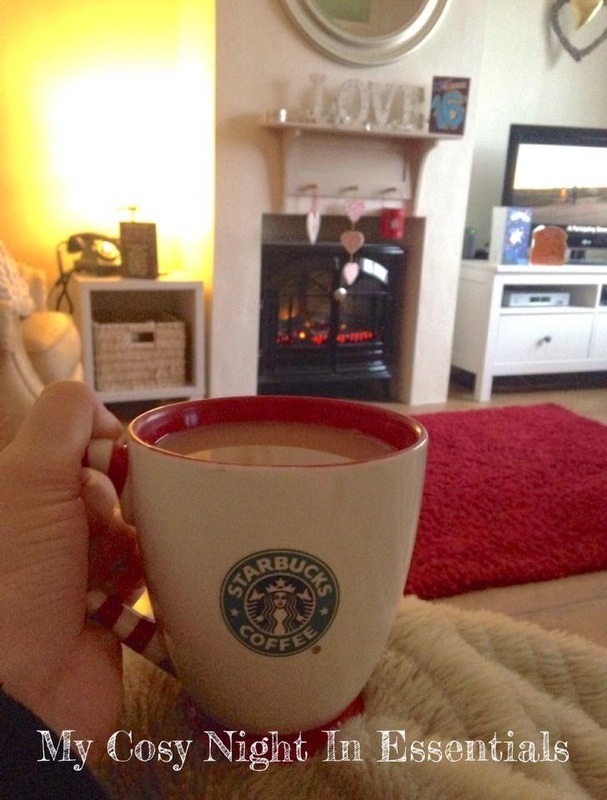 Finally, put the kettle on, because a cosy night in isn't complete without a hot drink! Now you should be ready to settle down for a relaxing evening - enjoy! This sounds like perrrfectttion! A good night in DEFINITELY involves good food for me, and always, without fail, a good TV show or film! Lee and I have a weird little routine going on right now....ghost programmes with a bowl of cereal around 10pm! It's so crappy and indulgent but OH SO GOOD. Bonus points for doing it in bed!